The villa has been equipped with everything that you require to make your stay comfortable. 2 Large Double Rooms one with double sliding doors leading onto a French Balcony - 1 Large Twin Room also with double sliding doors leading onto a French Balcony. 2 Bathrooms one is fitted with a Jacuzzi Bath and the other with a corner shower. Open plan kitchen, with all white goods, oven & hob, microwave, toaster, all cooking utensils, water cooler, and a breakfast bar. Airconditioning in all bedooms, Mosquito nets, TV, Playstation 2 (With Games), DVD Player & movies, books, Baby Travel Cot and Highchair, IPOD Docking Station. 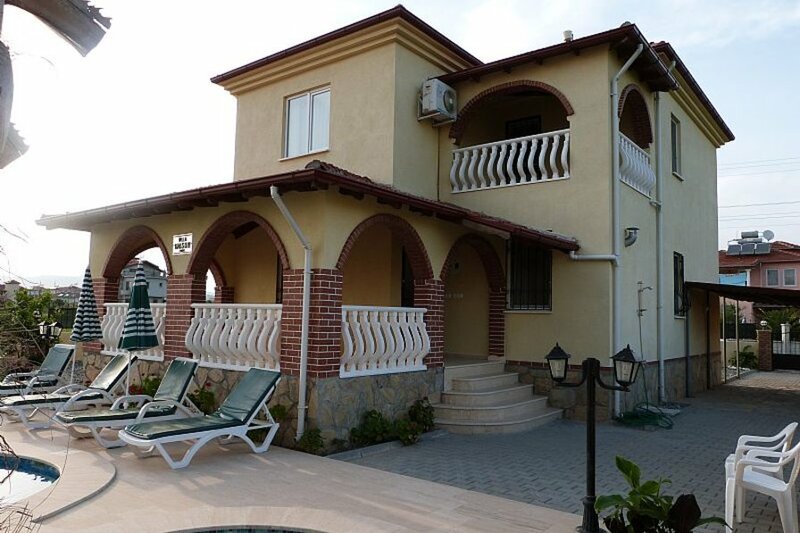 If you require WI-FI there is a cost of 15tl per week which is paid locally to our property manager. Guests are to provide their own beach towels. Villa Wason is in a great location only 10k from Dalaman Airport, 1k from Dalaman Town and within 11k from three beautiful, secluded sandy beaches. There is a new 18 hole Golf Course, plenty of Water Sports, and other activites in and around Dalaman.